"Duemilanove" means 2009 in Italian and is named after the year of its release. The ATmega168 and ATmega328 also support I2C (TWI) and SPI communication. The Arduino software includes a Wire library to simplify use of the I2C bus. 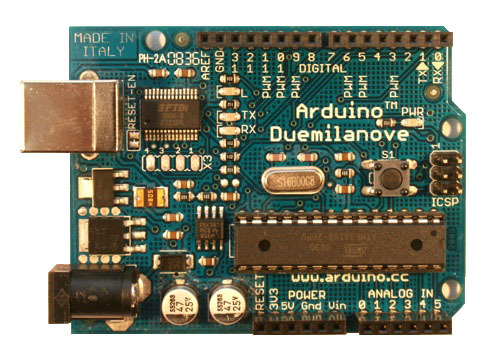 The Arduino Duemilanove can be programmed with the Arduino software (download). 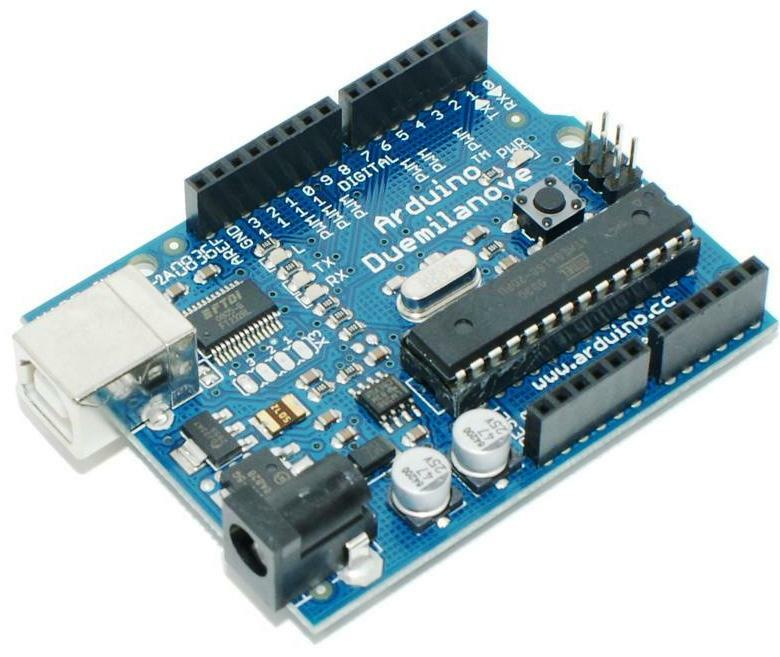 Select "Arduino Diecimila or Duemilanove w/ ATmega168" or "Arduino Duemilanove w/ ATmega328" from the Tools > Board menu (according to the microcontroller on your board). The Duemilanove contains a trace that can be cut to disable the auto-reset. The pads on either side of the trace can be soldered together to re-enable it. It's labeled "RESET-EN". You may also be able to disable the auto-reset by connecting a 110 ohm resistor from 5V to the reset line.